Our reputation thrives on the pride and workmanship we have come to be known for: Efficient, high quality comprehensive digital and general printing services. Our offset printing utilises vegetable based inks, recycled paper or FSC certified stock and is available for all your business stationery needs including; business card printing, letterhead printing, brochure printing, flyer printing, envelope printing, presentation folders, posters, raffle tickets, numbered receipt and invoice books, self-inking rubber stamps, Charity Christmas cards and more. Feel free to join Mid Coast Printing’s mailing list and receive discount printing offers. 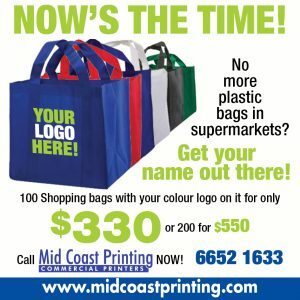 Technical skills and creative abilities coupled with diligent execution; Mid Coast Printing exists to support and promote your business brand and identity.